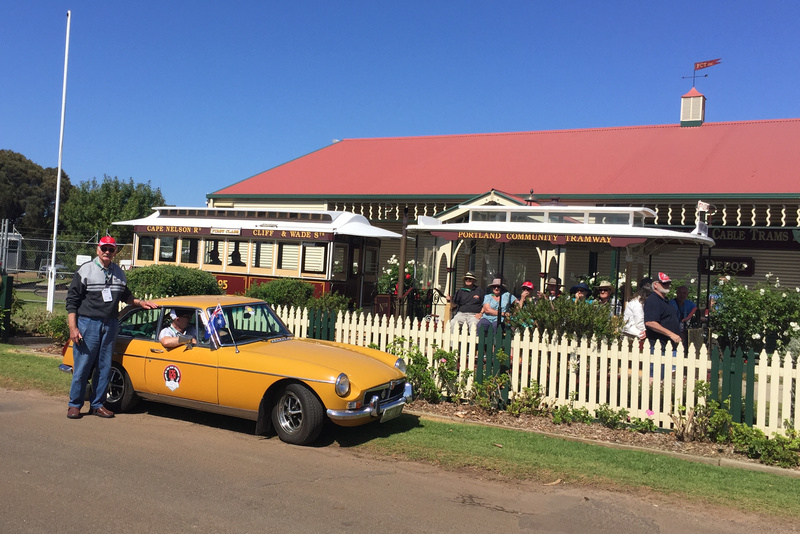 The RACV Fly the Flag Tour has always been owned and run by the All British Classics Car Club, however 2017 saw the end of the RACV as a naming rights sponsor, so 2018 saw the running of the “ABCCC Fly the Flag Tour Friendship Tour”. 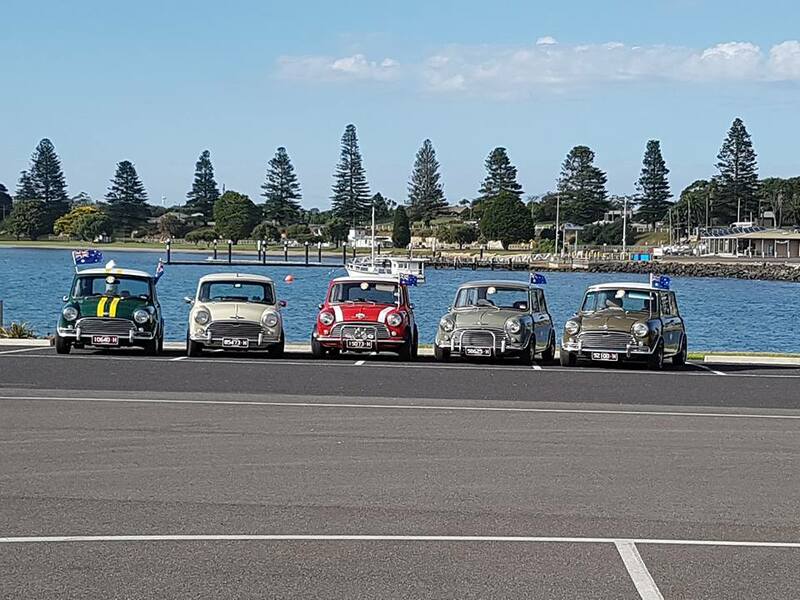 Our club was represented by Steve and Karen Austen in their MGB GT, Harry De Groot in his Mercedes Benz 300D, Ian and Mary Hodge in their Vauxhall, plus the Richards family: David and Claire, Lorraine and Allan in our respective Mini’s. The tour commenced on Sunday 18th March after a sumptuous breakfast at Ultima Receptions in Keilor, where it is always great to renew acquaintances and inspect the incredible range of over 200 classic cars from Australia, England, USA, Germany, Italy, France and Japan, with almost all letters of the alphabet being represented with marques from Alfa Romeo to Volkswagen. 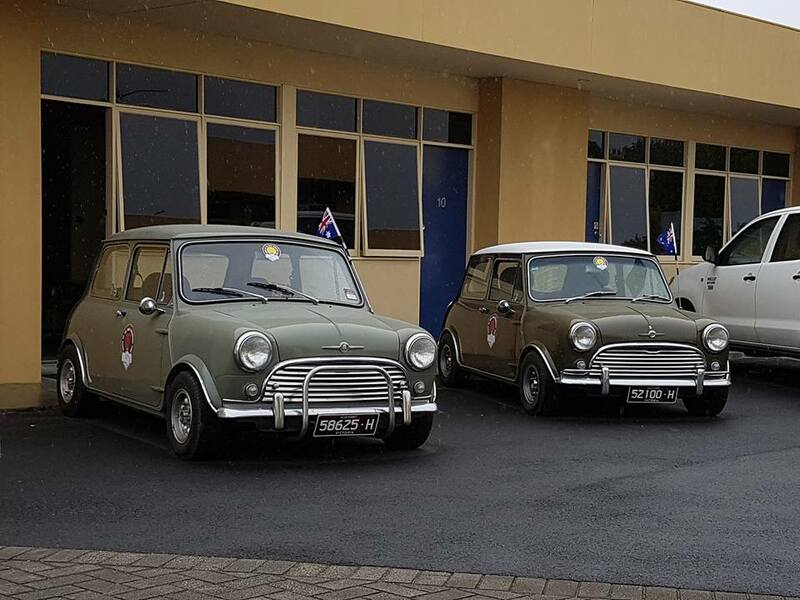 The major players were England with approximately 70 cars comprising Austin, Morris, Mini, Rolls Royce, Bentley, Ford, Morgan, MG, Triumph and several Jaguars. Germany was represented by approximately 25 Mercedes Benz both sports and sedans, and only three Porsches, 911, 930 Turbo and 928. USA had the usual Buick, Chevrolet, Ford, Packard and Pontiac, most of which looked like 10 acres of sheet metal on 4 wheels. Day 1 was a big day of 345 kilometres to Horsham via Elphinstone and Muckleford where we were treated to a BBQ lunch with the prevailing wind doing its best to coat our burgers snags and salad with cubic metres of dust. After lunch we continued on through Maldon, St Arnaud, Rupanyup and Murtoa checking out the silo art. Also on day 1 David experienced a bit of trouble with his Mini when the ignition light remained on. 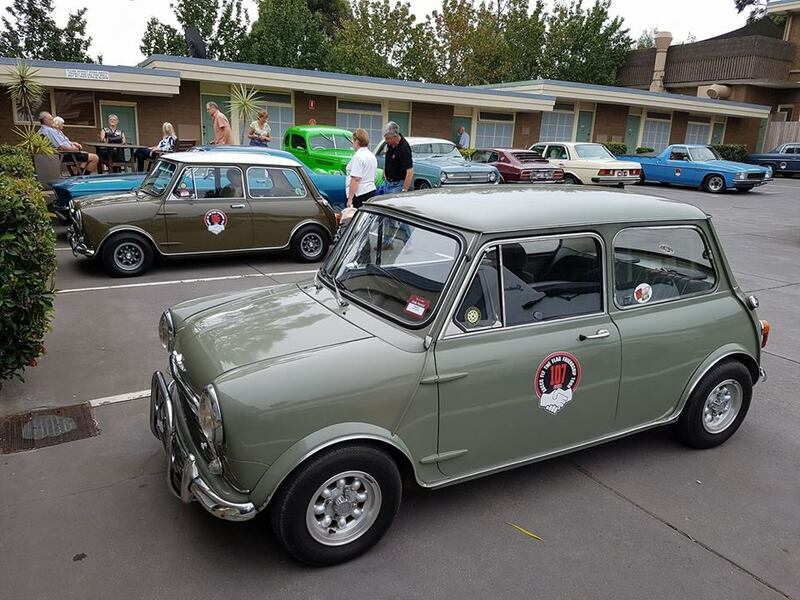 Our accompanying mechanic checked the alternator and found that it was still charging which relieved some of the concern, next morning saw David and Claire breakfasting at “Maccas” next door to the auto electrician where the problem was diagnosed as an “excited diode”. His alternator was rebuilt with parts obtained from a similar alternator found in the old parts bin upstairs. This resulted in a much relieved #1 son, and neither of us had any more trouble with our mini’s for the rest of the tour. Day 2: 251 Kilometres to Mount Gambier for two nights. Day 3: a hub tour of 112 kilometres visiting Penola and “Yallum Park” a Victorian Mansion built between 1878 and 1880 and said to be the best preserved Victorian Mansion in Australia. On our return to Mount Gambier we had time to visit the Blue Lake and the Umpherston Sink Hole, which has been transformed by beautiful gardens. Day 4 was a short drive of 110 kilometres to Portland, also for a 2 night stay with Day 5 being a free day where attractions such as the Cable Tram which runs along the Foreshore, the old Water Tower which is now a War Memorial, the Maritime discovery centre and the Auto museum could be visited. 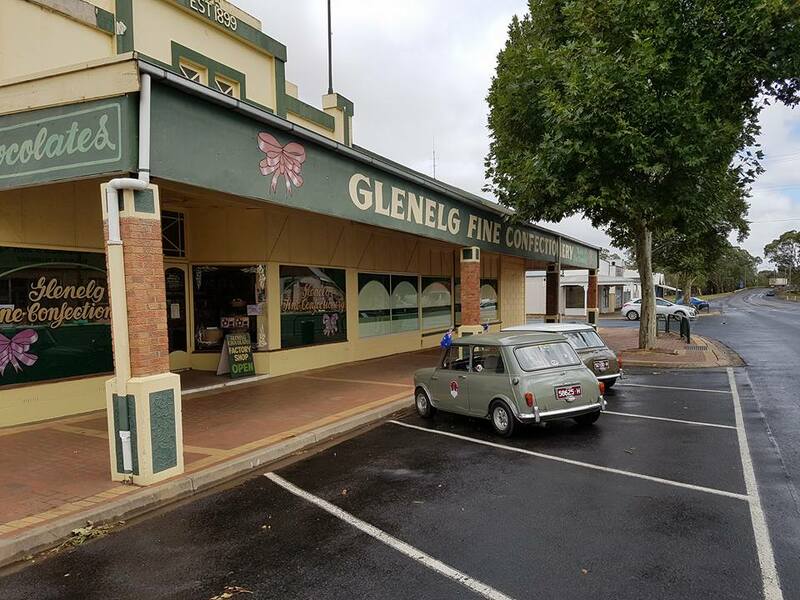 Day 6 was another long day of 389 kilometres to Bendigo via Hamilton, Ararat and Castlemaine. Tonight was our Fancy Dress night which is always a lot of fun, and where the imagination of some people never ceases to amaze me. 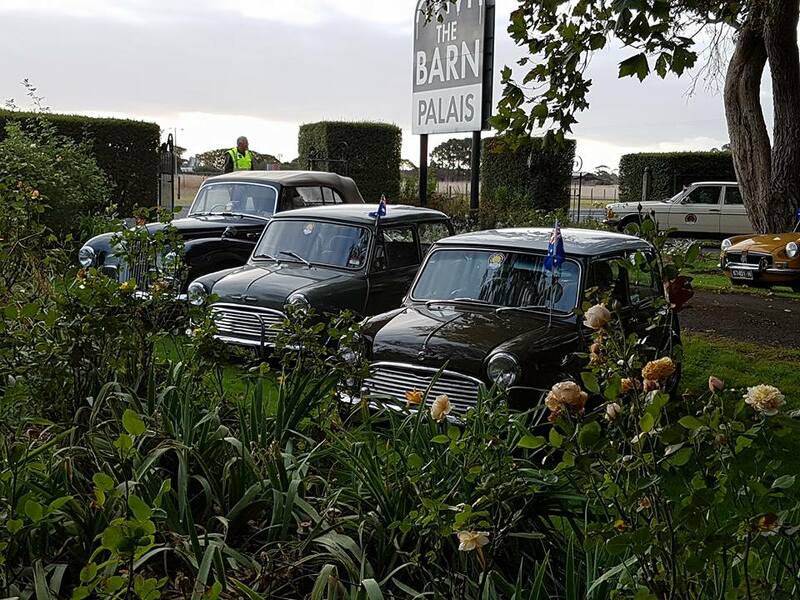 Day 7: The last day was a 200 kilometre drive to Yarra Glen via Heathcote, Seymour and Yea. The tour concluded at Yarra Glen Race Course with lunch and presentation of awards. After 17 tours, rumour has it that this may be the last. If this turns out to be true, after our 9 tours we will miss it. The collection of beautifully presented cars is only one aspect of the tour, but the many friendships that have developed is another. Words by Allan Richards, photos by David Richards, Steve and Karen Austen, and Harry DeGroot.